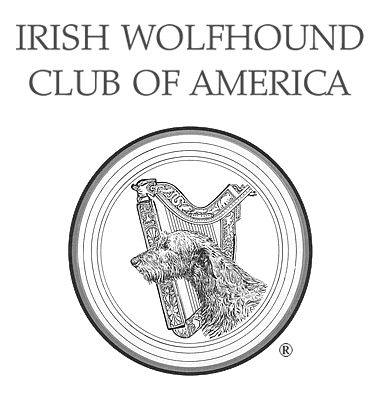 RV Parking - IWCA's 90th National Specialty, May 14 - May 17, 2019 - Irish Wolfhound Club of America, Inc. There are a maximum of 25 spaces (50 feet by 20 feet) for overnight RV parking on the show grounds in a paved lot adjacent to the show ring. RV Overnight parking will be available beginning at 5:00 pm on Monday, May 13, 2019. There are no hookups in this lot. There is a nearby full service RV park for sanitary dumping and flushing. If you need electrical power you can use your own generator or rent one at cost from United Rentals at $65/day for a 30 amp or $80/day for a 50 amp. You must pick up and return the generator to their location. The Club assumes no responsibility for personal injury or death of any person; theft, injury or death of any animal; or damage to or loss of any property while at or on the show grounds, or in transit to or from the show. 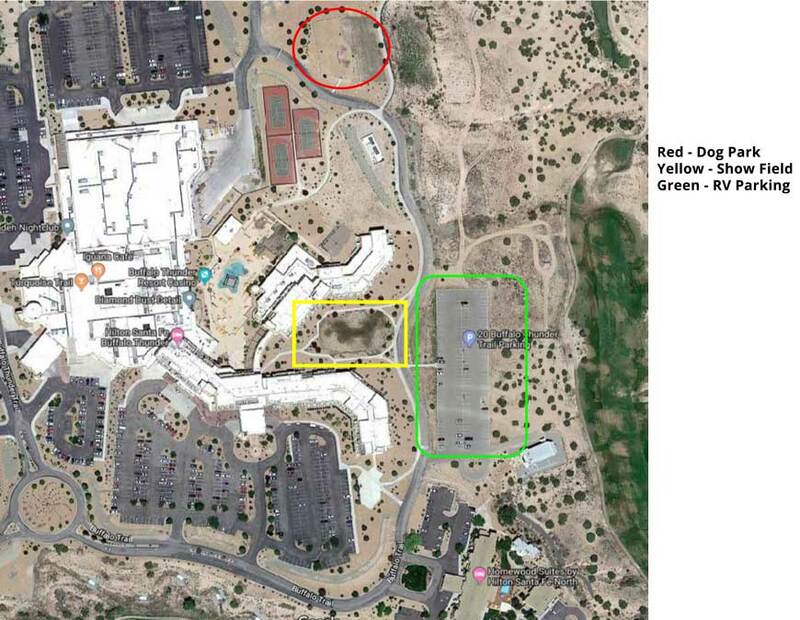 Reservations for overnight parking will be taken until the closing date, noon, April 24, 2019 or until the lot is full. After that time reservations will not be accepted. Confirmation of your reservation will be by email. If you go in and out, you must reserve your site with some type of identification (cones, rope off, etc.). Please refrain from going in and out of the lot during times dogs are being shown in the ring. Other RV Options for 2019 National Specialty. We are not recommending any of these RV parks; so, please read reviews and make sure you are comfortable with the place you choose. Be honest about having dogs with you when you make your reservations because not all parks allow dogs or allow giant dogs. Road Runner RV Park - Across the hwy and 1 mile from the resort. Bare bones but close. Santa Fe Skies RV Park - 19 miles from Buffalo Thunder. Gets good reviews. Los Suenos de Santa Fe - About 15 miles from Buffalo Thunder RV parking and cabins. Pets must be approved ahead of time. KOA - Santa Fe - 23 miles from Buffalo Thunder.